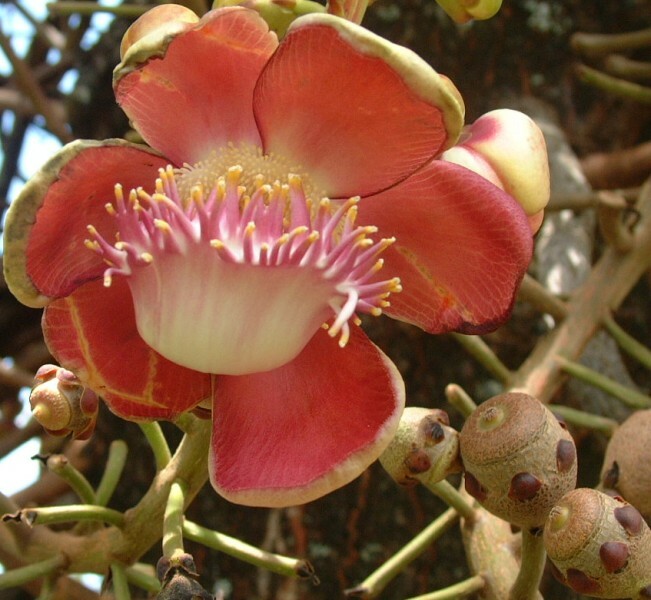 The glorious flowers and hard brown balls on the Cannonball Tree are always exciting to find. 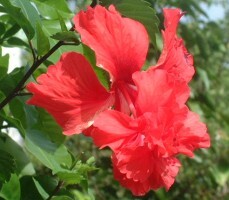 This one was in the botanical garden in Grenada. A native of the Amazon region of Brazil and Venezuela, it is a non-edible relative of the brazil nut tree. The characteristic red leaves of Poinsettia brighten yards year round. They are often seen as a blooming fence -- the home-owner puts sticks in the ground on the perimeter of the property, and soon they sprout leaves! 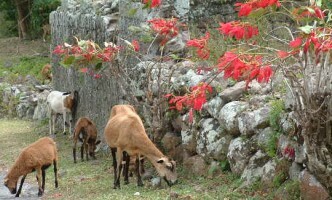 Goats, by the way, are the most commonly found domestic animal. 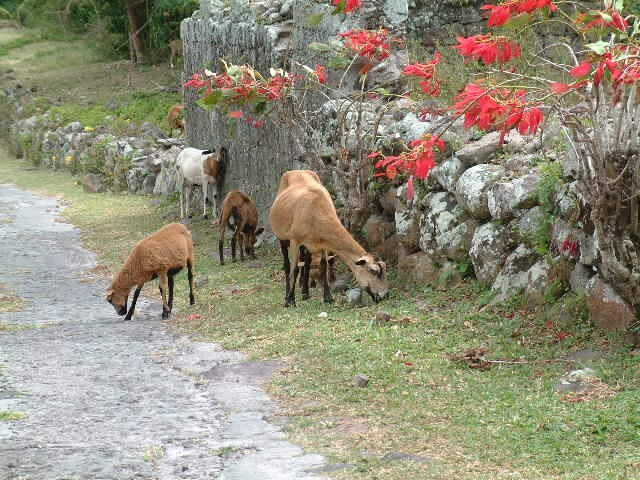 They are raised for meat and milk and cheese, and make great organic lawn mowers, keeping the grass down and fertilizing it at the same time. Unfortunately, on some of the more arid islands, they also account for destruction of the hillsides. the lush green background. 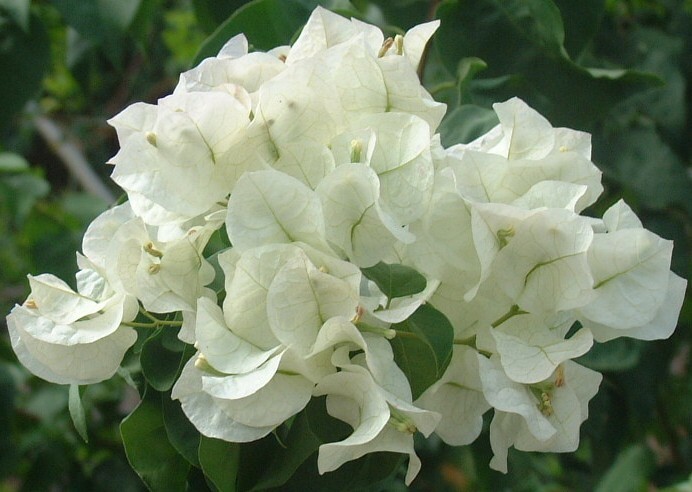 They have no noticeable fragrance. 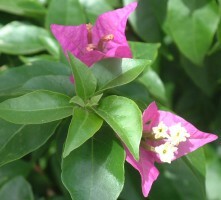 Bougainvillea is a Brazilian native, but very common in the Caribbean. 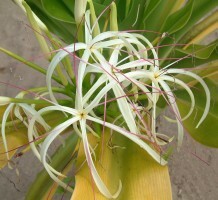 The veined, and many-colored bracts (pink, red, white, purple) hide tiny white flowers. 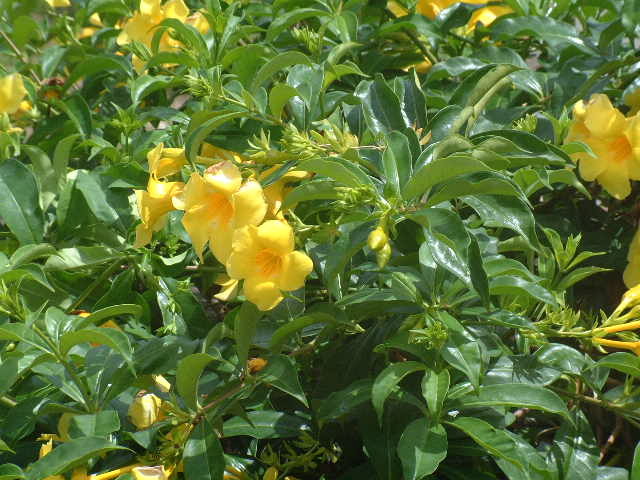 These plants can grow as hedges, or climb to completely cover houses. the seed pod of one of the hibiscus species. 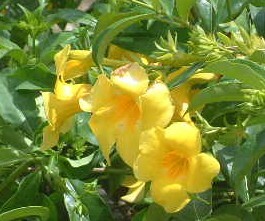 fragrant flowers. It is part of the Amaryllis family.